Plants require nutrients to flourish, and their nutritional requirements change throughout the cycle. Various brands have tailored their plant feed to these requirements to optimise growth and maximise yeild in whatever substrate and system you're using. Read our buyers guide below or contact our experts for further information. Plants require particular elements to support their biochemical processes. Some of these elements, such as carbon, can be acquired from the air in the form of carbon dioxide, however the majority of these essential elements are uptaken through the roots of the plants in the correct environmental conditions. Many hydroponic mediums are inert, meaning they contain no nutritional value, so the elements are provided to the plant in the form of nutrients. Hard water contains a lot of Magnesium and Calcium whilst soft water does not - these elements calcify around taps, a phenomenon known as limescale. Nutrient manufacturers have formulated their nutrients to accommodate for these differences but you may experience issues if you accidentally use soft water nutrients in a hard water area or vice versa, so you should be careful when selecting your range. Some nutrients can be ‘locked out’ if the temperature or pH fluctuates too far from a safe range which could manifest as a nutritional deficiency, despite that element being provided in the nutrient solution. The optimal temperature and pH can vary depending on your medium, with hydroponic methods requiring cooler temperatures and a slightly more acidic solution when compared with soil. We stock a range of nutrient brands who manufacture lines of nutrients tailored for specific systems and the changing nutritional requirements of plants throughout a cycle. You should purchase your nutrient range based on the system you intend to use them in and on the substrate you’ll use in the system. Base nutrients are often split into ‘Grow’ and ‘Bloom’ to accommodate for the plants changing dietary requirements over time. Grow nutrients contain a higher ratio of nitrogen in comparison to phosphorous and potassium whereas bloom nutrients are composed of a lower ratio of nitrogen to a large amount of phosphorous and potassium. Base nutrients provide a balanced diet for the plant, containing both macro and micro nutrients, providing a strong foundation for profuse growth. Manufacturers are always innovating new nutrient ranges, with 1-part nutrients being one of the most recent additions to the market. 1-part nutrients are still split into ‘grow’ and ‘bloom’ to accommodate for the plants different requirements depending on what phase they’re in but they have been formulated to contain all the required elements in a single bottle. Possible with recent chemical advancement that stops the ingredients reacting and settling out, 1-part nutrients can be more simple to use for novices. Most nutrients are supplied as a 2-part solution that contains different elements in separate bottles. If these are mixed together in their raw form, some of the chemicals can react together and settle out of solution, meaning the plants won’t receive these particular nutrients.2-Part nutrients should always be mixed according to manufacturer's guidelines to ensure optimum plant growth. 3-part nutrients offer the most amount of precision to the gardener as the 3 different bottles can be mixed in different ratios depending on the plants nutritional requirements in that stage of growth. In this way, a grower can give the right ratios of critical elements and easily experiment to see the beneficial effects on their plants. ’Veg’ Boosters are used during the growth phase when lights are on for between 16 - 24 hrs a day. Boosters can me made from macro and micro elements but often contain additional compounds such as amino acids and carbohydrates. During early development, the focus should be on root growth to support the above-ground structures. Once a Healthy root-mass has been established, the gardener's focus can shift towards foliage and the supportive branches to build the plants potential for later flower. During veg, you’re building your foundation for future profuse flower so boosters and additives used here can speed up the vegetative process, including photosynthesis and metabolism which can beneficially impact on final yields. Bloom Boosters are added alongside your base nutrient during the bloom phase which can improve the overall result in terms of taste, smell and yield. Flower boosters often contain high phosphorous and Potassium as these are required in larger amounts during the bloom phase. Some Flower boosters contain sugars and carbohydrates that produce a sweeter end product. Plants have evolved with a plethora of living organisms in the soil. In the natural world, these organisms can have a symbiotic (beneficial) or parasitic (detrimental) effect on plants. In the sterile environment of an indoor grow room, we can selectively re-introduce the beneficial organisms to our environment in order to provide the beneficial effects of these organisms, without the risks associated with pathogenic types of organism. There are many different types of product that contain or promote beneficial microorganisms, with some products containing one specialised fungus while others such as white shark contain over 20 different species of beneficial Fungus and Bacteria, that all complete different functions for the health of the plant. What about straight through nutrients? Some nutrient manufacturers have developed ‘straight through’ nutrients that do not make a distinction between the grow and bloom stages and have instead been formulated for general plant health throughout its life. These type of nutrients are advantageous to a new grower looking for a simple solution. Easy to use and low maintainance, straight through nutrients allow less bottles of nutrient to be purchased and stored, and require a lot less fuss when measuring amounts and mixing solutions. 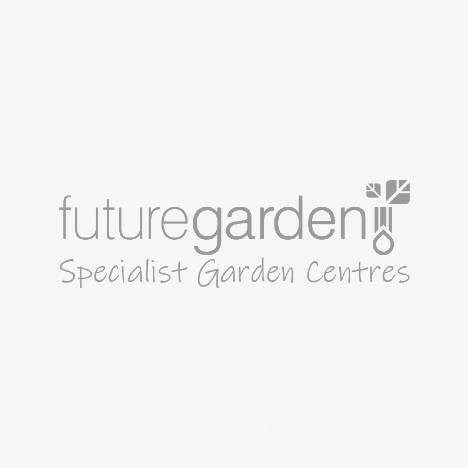 If you've got any more questions about nutrients and boosters for plants, email us or call our specialist team on 0800 085 7995 who can advise you on the suitable ranges for your system type and substrate.